Infographics can help make the most mundane data interesting. Infographics are often used in static form in presentations, and that too quite scarcely. 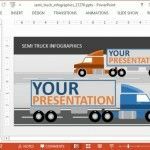 Many presenters simply don’t know about readymade animated infographic templates that can help them create animated infographics in PowerPoint. 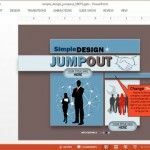 The Animated Info Tabs PowerPoint Template is one such template which can be used for making presentations with animated infographic slides. Making infographics doesn’t get easier than this. 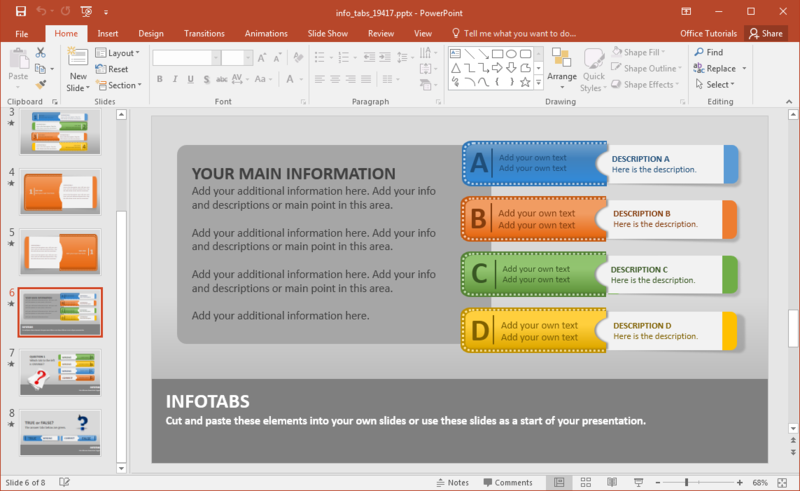 All you need to do is to create infographics by simply adding text to sample slides. 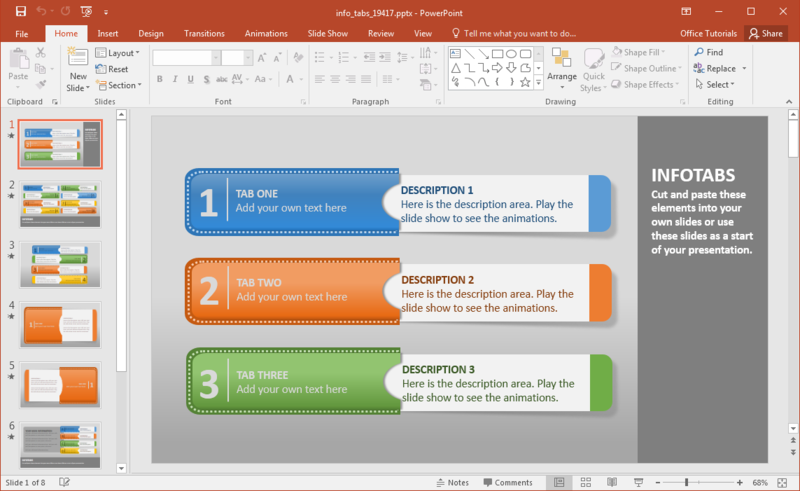 However, you can also add images, charts, and other relevant information to customize your slides. Once you have customized the slides, you can run them in Slide Show mode to see how they play out. The highlight of this template is that it provides tabbed infographic layouts. 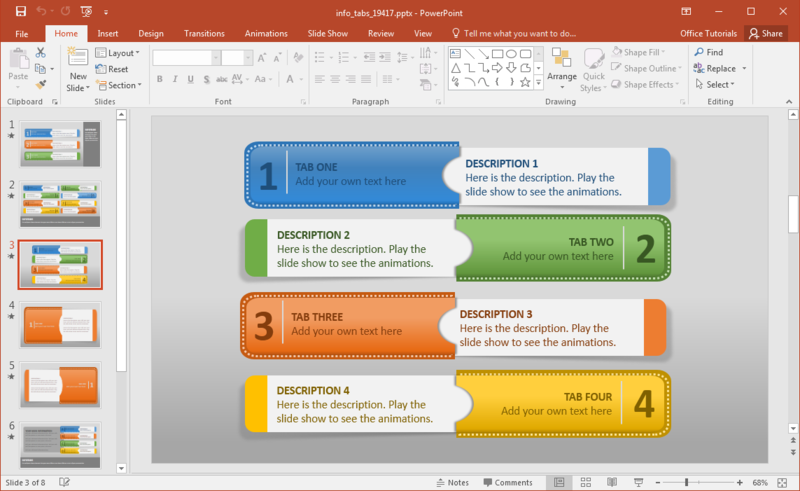 These layouts can be used for presenting different bits of information in an orderly manner, as the tabs open upon mouse-click with relevant text. 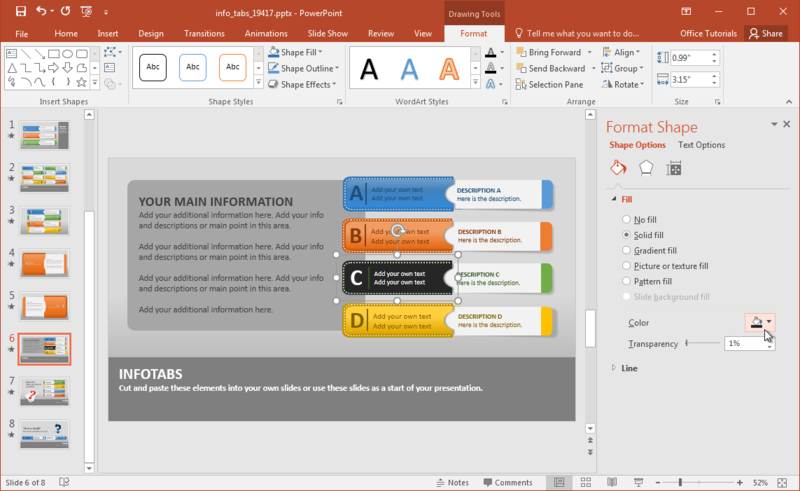 This can enable you to systematically add text to the given tabs to present different aspects of your presentation one-by-one before your audience. Such a presentation will not only be visually pleasing but also easier to understand for an audience. Moreover, you will be able to present complex bits of information slowly, instead of bombarding your audience with a visually muddled diagram. You can also recolor to change the default look of the tabs and also alter the font colors according to need. This can help you relate certain colors with specific types of information in an infographic for ease of understanding. For example, if you’re presentation is about global warming, you can use the red color for disaster related information, green for encouraging data and black or grey for irreversible damage. 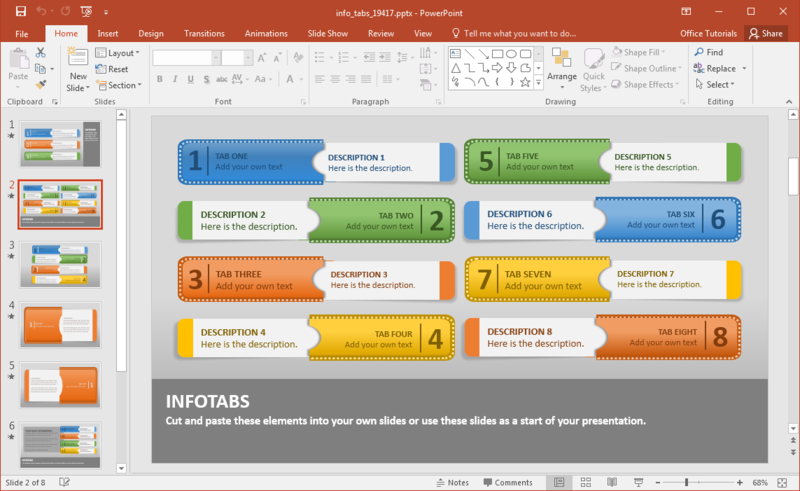 There are also other templates that you can use to create animated infographics in PowerPoint, such as these animated infographic PowerPoint templates. 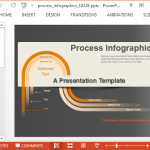 Furthermore, you can search for infographic and other types of animated templates at Presenter media to create animated presentations in a matter of minutes.